Michael is currently Associate Musical Supervisor on the international tour of Cats, having been Musical Director of the production. Other recent credits include The Sleeping Beauty (Conductor, Shanghai Ballet); The Best of The West End (Conductor, West End Intl/Opera North/Liverpool Phil); The Rise And Fall Of Little Voice (M.Supervisor, The Barn). Michael England’s diverse career encompasses classical music, ballet, film, television and musical theatre. In London’s West End, he has been Musical Director for productions of Les Misérables; The Phantom of the Opera, Jerry Springer – The Opera (also BBC TV), Monty Python’s Spamalot, The Producers, The Pajama Game and Miss Saigon. He has also conducted productions of The Sound of Music, Cats, Top Hat (UK), Evita (Oslo), Aspects of Love (Ireland), Grease (Ljubljana), Cats (Hong Kong) and The Pirates of Penzance (Australian Tour/Sydney). 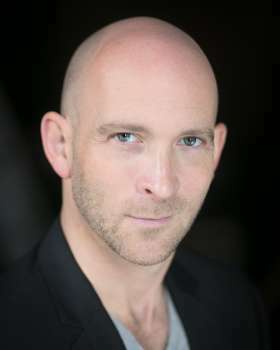 He was invited to conduct the opening weeks of Cameron Mackintosh's new 25th anniversary production of Les Misérables; he also conducted the Live cast album and worked on the 2012 film. He was conductor and orchestrator for the live broadcast of BBC Sports Personality of the Year 2017, and he was Musical Director for the UK television premiere, The Sound of Music - Live broadcast on ITV television. In addition to several appearances on Radio 2’s Friday Night is Music Night Michael also conducted the UK debut concert performance of George Gershwin's Of Thee I Sing at the Royal Festival Hall. Michael has conducted many of the top British orchestras including the Philharmonia (at Buckingham Palace in the presence of HRH, The Prince of Wales), City of Birmingham Symphony, Royal Scottish National, Royal Philharmonic Concert, BBC Concert, BBC Philharmonic, Royal Northern Sinfonia, Royal Liverpool Philharmonic, Orchestra of Welsh National Opera, Orchestra of Opera North, National Symphony Orchestra as well as appearing with the Shanghai Opera House Orchestra, Shanghai Philharmonic, Stockholm Sinfonietta, Slovenia Radio Symphony and Bangkok Symphony Orchestra. He has worked at the Royal Opera House, Covent Garden as cover conductor on the Royal Ballet productions of The Rite of Spring, Giselle, Chroma, Concerto, Monotones, The Judas Tree, La Valse, The Human Seasons and Marguerite & Armand. He made his debut with the Shanghai Ballet conducting the world premiere of a new award winning ballet Hamlet, choreographed by Derek Deane, for which he created the score, adapting and orchestrating music by Tchaikovsky. He has since returned to them to conduct Romeo & Juliet and The Sleeping Beauty. His orchestrations include productions of Company, The Ballad of Little Jo, The Revenge of Sherlock Holmes, Duncton Wood, Judy & Liza, and Ruthie Henshall’s album, Pilgrim. He was Musical Director, Vocal Arranger and Orchestrator for the world premiere production of Pure Imagination, a new show featuring the work of double Oscar and Grammy Award winner, Leslie Bricusse. Compositions for dance include Rosa (DMD at Sadler’s Wells), Exceptional & Extraordinary (DMD UK Tour), and for the Royal Ballet; Draft Works (Clore Studio) and New Works (Linbury Theatre, Royal Opera House). In addition to this Michael was commissioned by the Royal Ballet School to compose a 40-minute ballet, La Destinée, which premiered at the Royal Opera House, Covent Garden.